Martin Professional will be exhibiting an exciting range of unique lighting and fog effects at LDI 2006, including the companion washlight to the popular MAC 700 Profile, the MAC 700 Wash. 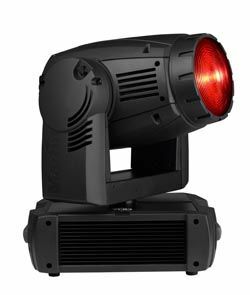 The MAC 700 Wash is a powerful 700-watt Fresnel luminaire featuring a full CMY color mixing system and variable CTC plus 8 position color wheel. It also includes a wide range variable zoom, continuous and indexable beam shaper, and extremely smooth and fast dimmer shutter system. Its superior optical system produces a remarkable light output, a light quality often better than competitive fixtures with higher rated lamps.